Jeff Dunetz takes aim at the United Jewish Appeal and the Boycott, Divest, and Sanction (BDS) pressure groups they finance. These groups attempt to try to influence Israeli policy on Judea and Samaria through economic pressure and Washington lobbying. 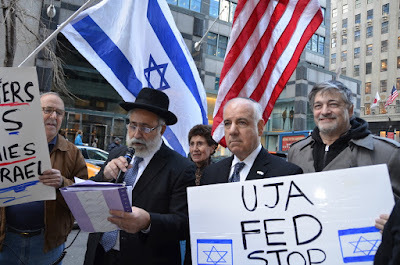 "Why I Won't Be Going To Today's Israel Parade (And Why You Shouldn't Donate To UJA)" by Jeff Dunetz in "Yid with Lid." "Your donations to UJA go to delegitmize the state of Israel. The findings come on the back of a JCCWatch investigation on Tuesday that showed that UJA-Federation leadership have been pressuring former Israeli diplomats, and the office of the current Consul-General in New York, to give cover for their support of the New Israel Fund to participate in this weekend’s Israel Day Parade. 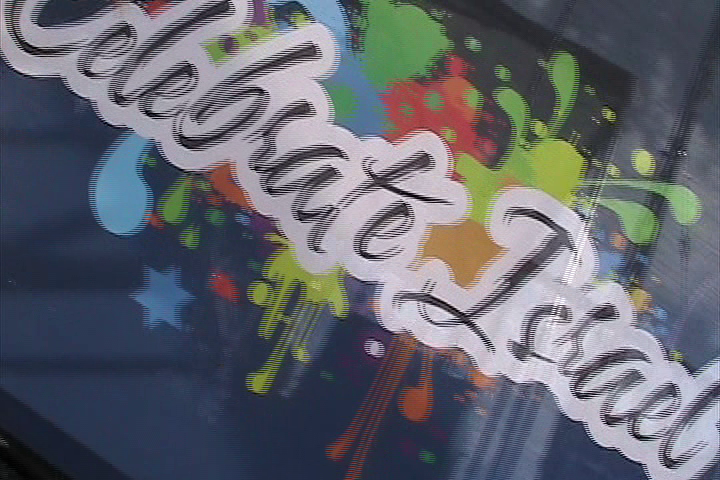 We caught-up with several people involved in the controversy at the parade in 2013. It appears that the issue is getting further, not closer, to a solution in the years since. Screenwriter/author Robert Avrech and wife Karen hold an annual Ariel Avrech Memorial Lecture, in memory of their son, which features Zionistic and conservative communicators addressing an audience at their temple, Young Israel of Century City. In the 2015 Lecture, radio host Larry Elder discussed why Black anti-Semitism is misplaced- and why Jews and Israel deserve greater respect and friendship than the Black leadership and community have offered. Larry Elder responds to Jews' questions about African-American conduct towards Jews. Attorney, Baruch Cohen, offers his views of the Black anti-Semitism and scapegoating of Jews which Mr. Elder addressed. Orthodox Jewish author and radio-host, Ben Shapiro, will present the next address on May 22, 2016. 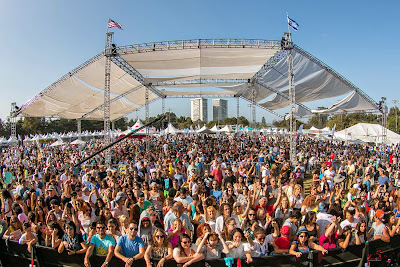 Event is one of five, Israeli-American Council-organized public Israeli Independence events being held around the US this month. 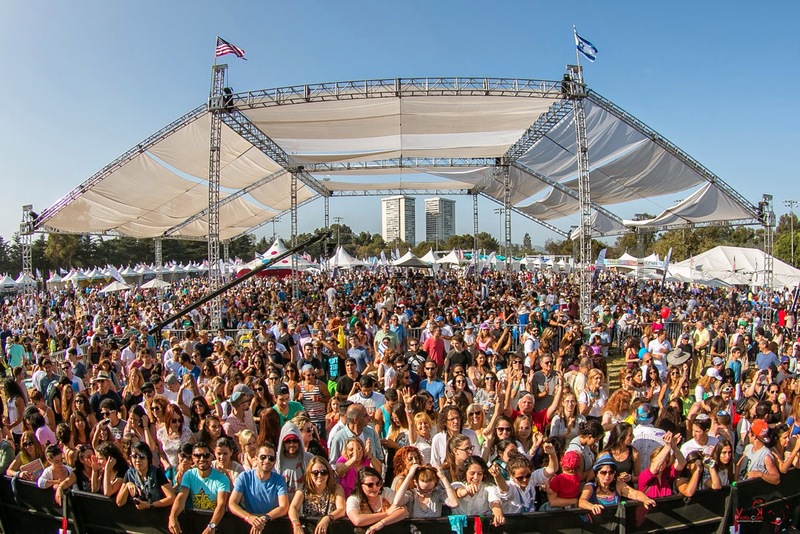 An estimated 15,000 Zionistic Americans and Israelis celebrated Israeli Independence and Jerusalem Day at the Celebrate Israel Festival in Los Angeles' Rancho Park on Sunday, May 17, 2015. Dennis Prager and Consul General David Siegel were among the luminaries who spoke with JewTube after addressing the crowd, which was comprised of Israeli-Americans, Jewish-Americans, and some Zionistic Christians. I.A.C. organizational leaders also spoke to JewTube about their role in adapting the previously low-budget, San Fernando Valley event. The video-playlist plays automatically in the first raster frame, or you may select your preference from the menu of a dozen clips is in the upper left corner. Several of the segments are parsed below the fold. Excerpts can be found in the next section. Celebrate Israel Festival is held in America's 2nd most populous Jewish city, Los Angeles, annually. 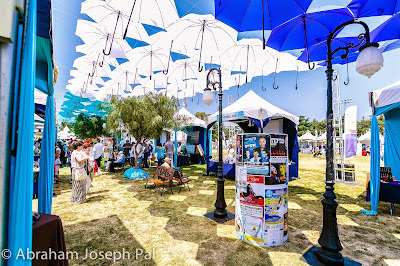 Enjoy some video clips from JooTube's coverage at last year's Festival. Roadmap Genesis is a film that makes the case that the Book of Genesis is an international roadmap for morality across faiths. The film exposes viewers to a wide spectrum of ideas and dialogues, including conversations with former Arkansas Governor Mike Huckabee, Alan Dershowitz, Rabbi David Wolpe, Ken Ham of Answers in Genesis and the Creation Museum, and Rabbi Sharon Brous. Roadmap Genesis promises to lift the U.S. out of its current decline, and return it to prosperity, promise, and accomplishment. "Roadmap: Genesis" director, Rabbi (in training) Nolan Lebovitz @ L.A. Jewish Film Festival spoke with us at the premiere. Question and Answer period of Roadmap Genesis panel discussion with Rabbis David Wolpe (Sinai Temple) and Sharon Brous (IKAR), moderated by Jewish Journal Managing Editor, Susan Freudenheim (left). Israeli Prime Minister Benjamin Netanyahu finalized a deal late Wednesday evening to establish a new governing coalition, concluding weeks of negotiations after his March 17 election landslide victory, Israel Radio reported. 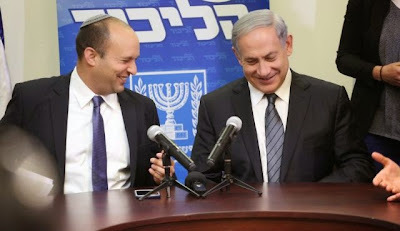 An announcement from Mr. Netanyahu’s Likud Party said that the prime minister would deliver a joint statement with Naftali Bennett, the leader of the pro-settler Jewish Home Party, who was the final hold out in the coalition haggling. Mr. Netanyahu’s new majority is likely to have just 61 seats held by right-wing and religious factions, leaving Mr. Netanyahu with little margin for error in the 120-seat parliament, known as the Knesset. Ha'Aretz reports: "According to the deal, aside from the education portfolio, Habayit Hayehudi will get both the justice portfolio and the chairmanship of the Knesset's Constitution, Law and Justice Committee, giving it unique control over the judiciary. The party will also hold the deputy defense minister position, and will get control of the Civil Authority, in charge of the Israeli-controlled areas of the West Bank." The 2015 premiered with a screening of biography, The Outrageous Sophie Tucker by Lloyd and Susan Ecker. The week-long, Los Angeles Jewish Film Festival began in a big way with the Los Angeles premiere for the biography, “The Outrageous Sophie Tucker.” This film from Susan and Lloyd Ecker tells the story of legendary entertainer Sophie Tucker who shocked and enthralled audiences with her booming voice, outsized personality and musical talent. The film features appearances by Tony Bennett, Carol Channing, Michael Feinstein, Shecky Green, Bruce Vilanch and Mamie Van Doren. JooTube interviewed director William Grecki, Sophie Tucker and Ted Shapiro performers Suzy Williams and Brad Kay, and filmed the post-screening discussion with the producers, moderated by Stan Taffel, Emmy-Award winner and classic film archivist. The Los Angeles Jewish Film Festival runs from April 30 to May 7th.